Today’s turbulent world is an indication of the differences that exist between cultures and communities. Sometimes, these conflicts are uncomfortable but tolerable. Other times, the disputes are so egregious or offensive that governments elect to sanction the official bodies responsible for the challenges. 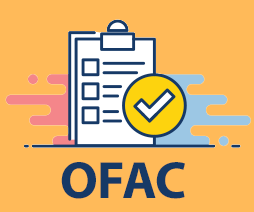 When the U.S. government imposes sanctions on a foreign entity, the Office of Foreign Assets Control (OFAC) is the department tasked with overseeing and enforcing those penalties. The OFAC is a division of the U.S. Department of the Treasury, and its job is to administer and enforce both economic and trade sanctions imposed on foreign countries due to activities that either originate within their borders or are under the control of their operatives. Sometimes, the OFAC imposes penalties due to criminal activities, such as international money laundering or terrorist activities. Other times, they impose penalties because foreign policies threaten U.S. national security or economics. The sanctions are multilateral in many cases, and they involve close cooperation with allied and partner governments. In emergency situations, the OFAC gets its authority from the national emergency powers aspect of the Federal government’s executive branch. In non-emergency cases, the OFAC is authorized by specific laws and legislation. Both authorities grant the OFAC broad capacities to control the activities of foreign citizens. What Does the OFAC Do? When foreign governments act in ways that threaten the safety and security of the United States, the U.S. government often uses economic and trade sanctions to punish the activity and compel the foreign entity to change its ways. In these cases, the OFAC is responsible for implementing the penalty and enforcing it over time. For example, in 1959, Fidel Castro took over control of Cuba along with virtually all of its businesses and industry, regardless of who owned those enterprises. As a consequence, and in an attempt to compel Castro to return control of those businesses to their rightful owners, the U.S. issued an embargo on Cuba and prohibited export to the island nation of almost all goods except for medicines and non-subsidized foods, while also prohibiting Americans from travelling to the country. The OFAC has been in charge of enforcing that embargo for more than 57 years. Additionally, the OFAC also oversees sanctions against groups of people, such as identified terrorist groups and criminal gang networks. The Office’s “Specially Designated Nationals” (SDN) list identifies foreign citizens with known criminal backgrounds, and the agency then posts those names on publicized lists. American citizens are not allowed to do business with persons on the SDN list, and the OFAC will come after them if they do. Why Does America Need the OFAC? The need for an OFAC became apparent during the War of 1812 when the fledgling country imposed sanctions against Great Britain for harassing its sailors. In all wars since then, America has imposed some form of penalty on its enemies, including protecting threatened Ally assets from the Nazis while waging war against them in World War II. Since its official launch as the “OFAC” in 1950, the agency has policed and enforced penalties against individuals, groups, and nations that threaten American assets and citizens, including tracking sanctions evaders, checking the activities of unsavory foreign financial institutions, and shielding the assets of persons blocked from engaging with America because of their criminal or terrorist activities. The United States is an important player in maintaining global stability. The Office of Foreign Assets Control is just one of the tools it uses to ensure that American assets and citizens are protected from foreign-based corruption and crime. Are you ready to ensure OFAC compliance? Contact us today!